The Episode starts with Kajal feeling guilty and apologizing to Gayatri for getting Armaan’s alliance for Dolly. She says I had no idea about Armaan’s truth. Gayatri forgives her. Kajal takes her permission to visit the temple. She leaves. Muskaan comes. Gayatri says don’t know what to do, you saved Dolly’s life, its tough for Dolly to move on. Muskaan says Dolly is my good friend, I regarded her my sister, I won’t let her go in wrong hands, Maa. Gayatri says you won’t call me Maa, you broke the family peace. She goes. Muskaan gets sad. Ronak says you planned Armaan’s doing to insult Muskaan. Sir ji says you have a mental block, I will just say that if I knew about Armaan, I would have sent him out, Dolly is my daughter, I should ask you, you got someone to shoot at me, for what crime was it. Ronak smiles and says you are making stories to hide your mistake, I do and say on your face, my heart is clean, but you are lying, this is your bad style. Gayatri comes and shouts enough Ronak. She scolds Ronak. She asks him not to insult his dad, if he can’t give him respect. She says I can’t hear a word against my husband. Sir ji smiles. Ronak looks on. Kajal smiles. She goes to meet the masked man and says both Sir ji and Ronak are after each other’s lives now, after believing the attacks, now we have to decide how to play the next game. He says we will play as we played before. He reveals his face. She sees Sujoy and smiles. Sujoy recalls how he fell down the building and got timely help by his men. He has worn a bullet proof dress and got saved from Sir ji’s bullet. He calls Kajal. She says don’t worry, Muskaan is fine, she is in outhouse. He says Sir ji and Ronak took my Muskaan away, I will ruin their family and make them their enemies. Kajal says if Gayatri heard anything that day then…. She recalls seeing Gayatri at the door and changing her words. They recall their planning. Kajal says once Mrs. Sinha does the decision in Ronak and my favor, it will be good, I will get my Ronak, you will get your Muskaan. Sujoy says if I don’t get Muskaan, everything will be ruined. Ronak comes to Muskaan and asks her to accept the books. He asks her not to leave her studies. He gets a headache. Muskaan and Kajal get medicines and water. Kajal says I will do a head massage. Ronak says no, I m fine. He wishes the decision is taken soon. They go to sleep. Kajal wakes up from sleep and shouts for help. Muskaan runs to help. She asks Ronak to wake up and help Kajal. Ronak goes to Kajal. She asks him to save her. He shouts and wakes her up. She says you are fine, and hugs him. He asks her to relax. Kajal doesn’t leave him. Mrs. Sinha comes and asks what’s happening. She sees Ronak with Kajal. Muskaan says Kajal is scared, Ronak is pacifying her. Mrs. Sinha asks them to sleep. Its morning, Kajal sees Ronak and gets an idea. She climbs up the stool in kitchen. She shouts to get his attention. He runs to save her. She slides the table and falls. He holds her in arms. Mrs. Sinha comes and sees them. Kajal greets her. Mrs. Sinha thinks he is still with Kajal, maybe I can decide in few days. Ronak worries. Kajal adds some pill in the tea cup. She asks Ronak to take the breakfast. She thinks Mrs. Sinha will see Muskaan’s misbehavior now, then game will be in my favor. Muskaan scolds everyone in intoxicated state. Ronak worries when she speaks Sir ji’s truth. 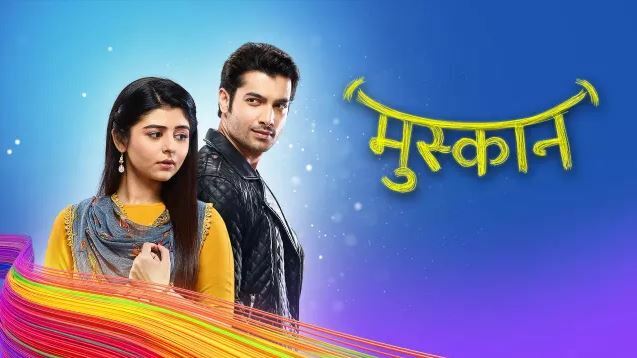 The post Muskaan 9th March 2019 Written Episode Update: Sujoy reveals his truth appeared first on Telly Updates.